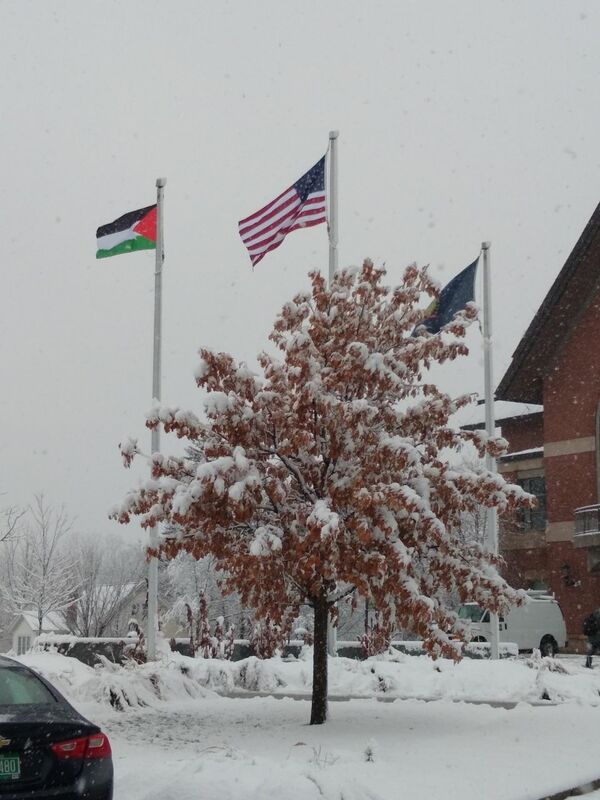 Students for Justice in Palestine (SJP) at the University of Vermont is a diverse group of students, faculty, staff, and community members organized on democratic principles to promote justice, human rights, liberation, and self-determination for the Palestinian people. As members of a solidarity group, we defer to the Palestinian civil society’s requests regarding international support. We have endorsed the Boycott, Divestment, and Sanctions (BDS) movement and the rights it is aimed at achieving. In addition to calling for economic and state pressure on Israel, the BDS guidelines also define and clearly oppose normalization, and to that end, we as students, faculty, staff, and community members in solidarity with Palestinians refrain from participating in projects that normalize the occupation. Just as SJP condemns the racism and discrimination underlying the policies and laws of the state of Israel, SJP rejects any form of hatred or discrimination against any religious, racial, or ethnic group. SJP’s strength is in the great diversity of its membership. SJP welcomes individuals of all ethnic and religious backgrounds to join in solidarity with the struggle for justice in Palestine.